Image: Ed Fox/Getty Images, jayk7/Getty Images. Design: Ashley Britton/SheKnows. As anyone who has ever given birth will tell you, no matter how much you prepare for the big day, the baby may have other plans. Although 41 percent of babies in North America are delivered via C-Section, many people remain wary of the procedure and harbor concerns that their babies will have weakened immune systems. Enter the practice of vaginal seeding. "Vaginal seeding is a process by which vaginal fluids and the microbes contained in the fluids, are applied to a newborn baby after the child is born via cesarean delivery," Dr. Kelly Kasper, an OB-GYN at Indiana University Health, tells SheKnows. Kasper explains that a cotton swab inoculated with vaginal fluid is transferred to the newborn's nose, mouth and skin with the intent of producing an environment similar to that of a vaginal delivery. 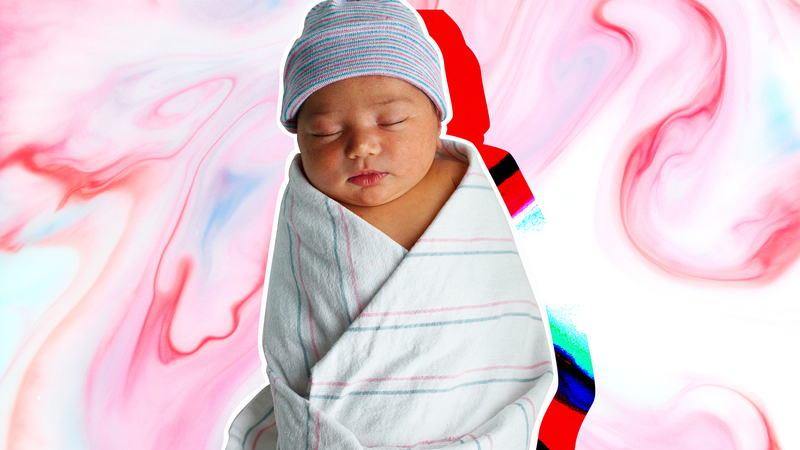 "The theory is that some research has linked cesarean deliveries to higher rates of certain conditions, such as asthma and autoimmune diseases," Kasper says. "Inoculating the infant may allow for colonization of the newborn’s gut and subsequently decrease the risk of these conditions." However, Kasper says there are safety concerns associated with vaginal seeding. "Given that the vaginal fluids can contain a wide variety of pathogens, there is risk of introducing infection to the newborn when performing this procedure," she explains. Kasper isn't the only doctor who cautions against the procedure. In November 2017, the Committee on Obstetric Practice published "Committee Opinion No. 725: Vaginal Seeding." "At this time, vaginal seeding should not be performed outside the context of an institutional review board-approved research protocol until adequate data regarding the safety and benefit of the process become available," the committee concluded. A report published in BJOG: An International Journal of Obstetrics and Gynaecology in June 2017 warned that vaginal seeding comes with the risk of passing infections such as group-B streptococcus, E. coli and a range of sexually transmitted infections to the newborn. "The concept [of vaginal seeding] in theory sounds good, but how a newborn's flora will react is hard to say," Dr. Adeeti Gupta, an OB-GYN and founder of Walk In GYN Care, tells SheKnows. "There definitely need to be more large randomized, controlled studies in a safe environment to help prove or disprove this theory." Dr. Daniel Roshan, an OB-GYN and assistant professor at NYU School of Medicine and Director of Rosh Maternal-Fetal Medicine, also emphasizes to SheKnows that there is no evidence that vaginal seeding has any benefits at all. Roshan's advice to pregnant patients who are concerned about C-sections and considering vaginal seeding is to "increase their chance for vaginal delivery [by] not gaining too much [weight] during pregnancy." In addition to diet and exercise, Roshan suggests using herbals such as primrose oil to soften the cervix over time and to choose an OB-GYN who has lower C-section rates. But if a C-Section does end up being the safest delivery method for you and your baby, you'll both be just fine without resorting to vaginal seeding.